Are you tired of the old house? Think its time you did some home improvement? 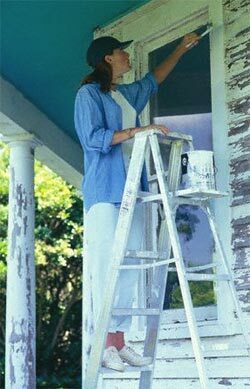 Home improvement projects can range from simple repairs and renovations to major makeovers. A home improvement catalog can serve as a guide to the types and varieties of materials and options available for remodeling and improvement projects. A consumer seeking guidance on home improvement jobs would do well to peruse home improvement web sites. These sites will throw light on contemporary home improvement schemes and their utility value. Use a home improvement calculator to estimate costs and financial needs. Households that have an income in excess of $50,000 will spend nearly $4,260 this year on improvement projects on their home. Interior decorating projects seem to be the most popular home improvement project. Other areas that rate high on consumer lists are remodeling, landscaping, plumbing, gardening, exterior decorating, restoration, expansion and building outdoor living space. In fact, home improvement has been named as a spending priority. It scores even over vacations and entertainment. When selecting items from a home improvement catalog or store, consumers look closely at the price factor. The budget is the single most important factor when selecting items from a home improvement catalog. Other factors that also influence purchases are the choice and selection of merchandise, delivery and rewards or incentives. Home improvement stores can secure loyal consumers if they offer allied services such as how-to workshops, seminars and special in-house design services. Home improvement catalogs can offer a range of home décor items - furniture, windows, tabletop, floor and furnishings and artwork. The glossy catalogs for home improvement will have you visualize yourself in a state-of-the-art kitchen with modern conveniences and shining countertops and neatly stacked storage racks. It is definitely hard to resist the lure of gleaming bathtubs with faucets and other bathroom accessories that stare at you from the home improvement catalogs. Catalogs for children's rooms can surely tempt you into going in for the bunk beds for the kids and a host of other items that can add to the value of the children's rooms. Today, there is no dearth of home improvement software that can give you complete control over your renovation jobs. Its powerful features allow you to import photographs of your house and plan your remodeling needs. Home improvement software helps you right from the stage of remodeling your structural system. You can plan exterior wall thickness, support beams, foundation piers and other features of your home. Use the right home improvement software to estimate and plan your electrical, plumbing, painting and remodeling needs. 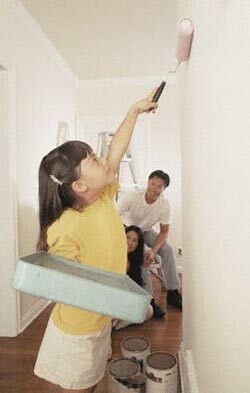 You can visualize changes and modifications to your own home with the help of its advanced features. Use software for design aspects of your home improvement project - visualize different floorings such as vinyl, ceramic tiles, parquet and hardwood. This kind of software will help in careful and meticulous planning of the kitchen, bathrooms and other rooms of your home. Home improvement software for contractors helps them to handle their business effectively. Such software takes into account the needs of home construction and improvement contractors. It provides construction estimates for different units and rooms. Other features of such software include detailed project management - involving CRM, lead tracking, materials management and schedule tracking. A home improvement web site can be a valuable Internet resource for consumers. It serves as a medium to showcase new products and their features. A layman can benefit from the advice and tips provided by a home improvement web site. Peruse a site on home improvement to glean important information on home improvement services such as building and remodeling. Another important service provided by some home improvement sites is home appraisal. All you need to do is to provide your address and residential locality and you can get a fair estimate of the price your property might fetch. This can help in making a decision on whether to improvise on the house or sell it. Pick up some do-it-yourself tips on home improvement. A home improvement web site can serve as an online store for merchandise related to home improvement and decoration. Browse through their home improvement catalogs to collect new product announcements and exclusive offers. Use a home improvement guide to find out how you can go about your remodeling and renovation process. A home improvement calculator can help you calculate how much it will cost you to renovate your existing house. This can be compared with the cost of buying a new house. You may want to add an additional room or knock out a wall and expand the physical structure of your home. But such remodeling schemes can be very expensive. But home improvement is a real investment. It gives you a better place to live in and increases the long-term value of the house. You can find detailed home improvement guides for bathrooms, kitchens, furniture, porches, living rooms and other facilities. A home extension project can be undertaken to provide additional space that can add value to the house. Use a home improvement guide to look at cost-effective alternatives so that you can find something within your budget. Home improvement guides recommend that you prepare a remodeling specification sheet. This will list out the size and type of room renovation you envisage. You can clearly specify the plumbing needs, electrical requirements and other aspects such as flooring. You need to choose a contractor who can help you with the entire process. Another critical aspect that anyone who is guiding your home improvement project will insist on is a construction permit in accordance with the governing jurisdiction. An online home improvement calculator can help you decide whether to go in for a home improvement project or go in for a new house instead. Many a time, you might find yourself in a situation where the house is in dire need of many repairs and improvements that might leave you with a whopping bill. In such a case, you might even consider selling the house and going in for new one. You can use a home improvement calculator to decide between home improvement and purchasing. You will need to provide details on the estimated cost of home improvement. 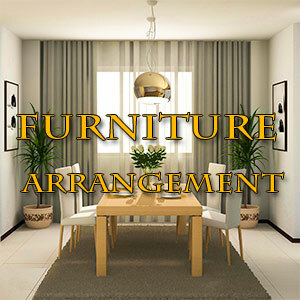 You will also need to furnish details of the cost of a potential new house. The online calculator will give you an estimate on which could be a more prudent option. Once you have decided to go ahead with the home improvement project, its time to draw a budget in earnest. You can use home improvement calculators that will help you estimate the expenses for do-it-yourself projects. You can use such a calculator to estimate the cost of concreting, fencing, insulation, carpeting, painting, tiling, wallpapering and even getting new windows and doors. First Published Date: 29 Mar 2006 Last modified Date: April 18 2019 This page may have been updated recently as new information is available or the content may have been edited for better readability.